Ireland in a Day? 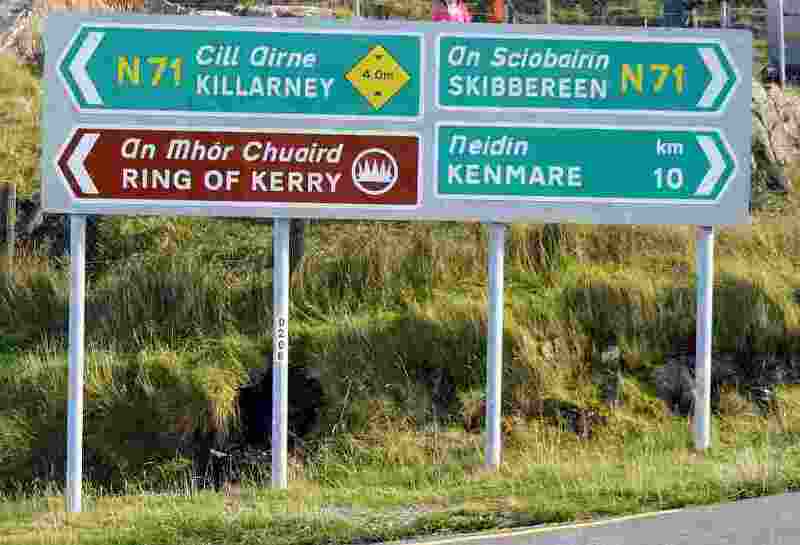 Try the Ring of Kerry! Ireland is one of those places where there is literally something to explore anywhere you look. The nation overflows with ancient and not-so-ancient history, stunning scenery, cultural heritage and friendly people. That's exactly why visitors to Ireland return time and time again (well, the frosty mugs of Guinness on offer everywhere might have something to do with that, too.) Ireland is not a place to rush through, it is to be savored. Sometimes though the reality of time constraints come into play; fortunately the Ring of Kerry, a sort of microcosm of Irish heritage, is something that you can experience as a day trip. 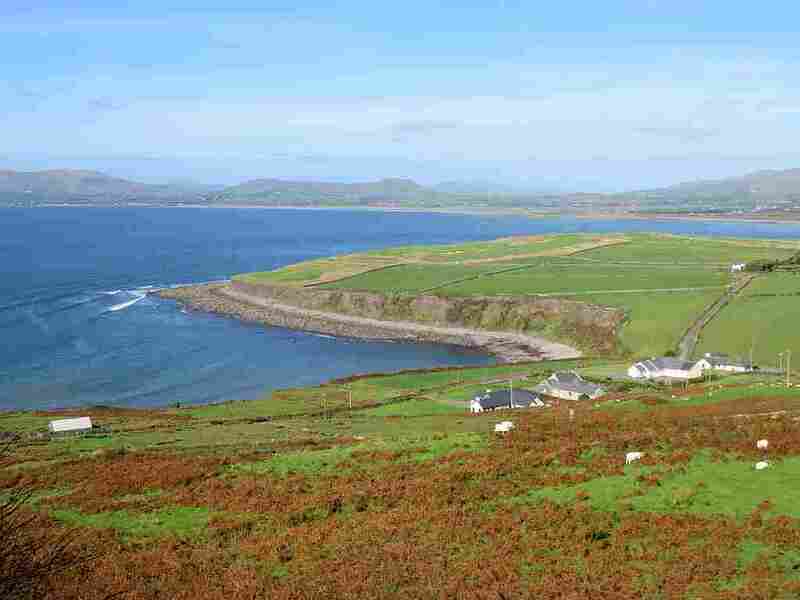 The Ring of Kerry is a ring road that begins and ends in the Southwest Irish town of Killarney that loops around County Kerry's Iveragh Peninsula in a 110-mile route that more or less hugs the peninsula's Atlantic coastline. Some folks self-drive the route while the more intrepid bike it, but many prefer to leave the driving to a professional, and bus tours with a knowledgeable guide run every day. Typically these take six or seven hours and participants will not be hurried along at any of the many stops. 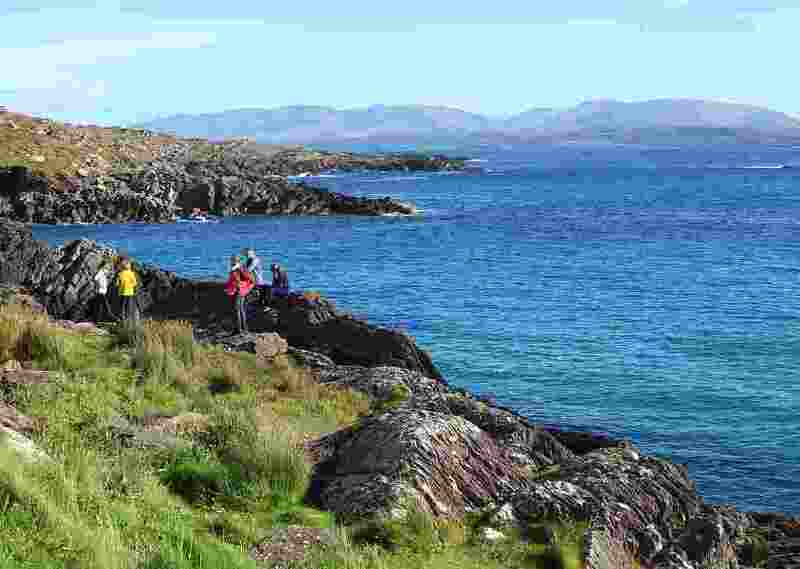 Tours generally leave Killarney taking the upper portion of the Ring of Kerry, visiting the northern part of the Iveragh Peninsula first. Not far out of town the towering mountain range known as McGillycuddy Reeks comes into view; fans of the late Warren Zevon may remember that the singer wrote a song about having his heart broken at McGillycuddy Reeks. While tours have varying itineraries, most are going to stop at the Kerry Bog Village, an 18th/19th century museum that recreates what life was like in those times. 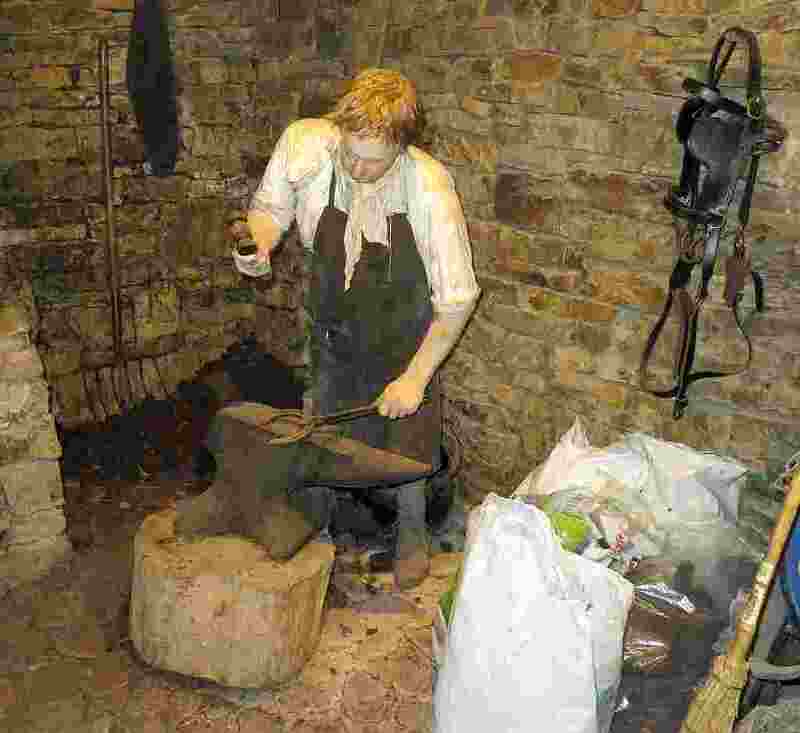 Visitors will see thatched roof buildings representing where the "turf cutter" lived, along with a laborer's cottage and the old forge (blacksmith's shop.) 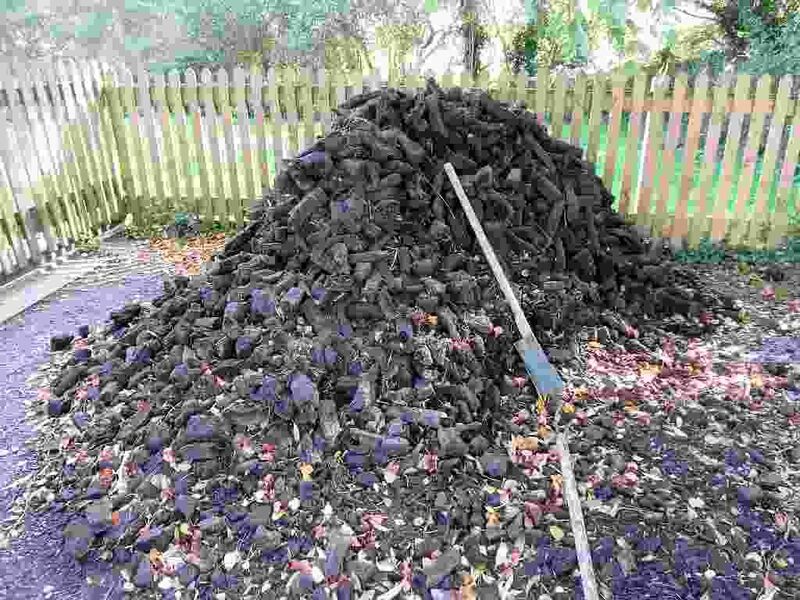 Throughout the village are stacks of peat, the all-important resource that served as fuel for heating and cooking that was harvested from area bogs. No ancient Irish village would be complete without a shebeen and there's one here too; shebeen is the name given to a place serving illegal liquor. Farming tools of the day are on the property too and visitors can also see Irish wolfhounds and Kerry Bog ponies. Right next door to the village entry is the Red Fox Inn where a taste of Irish coffee or Bailey's coffee awaits. Another fun thing to do on the Ring of Kerry tour is stop at the Kells Sheep Centre to see a demonstration of how sheepdogs are used to manipulate the movement of sheep. 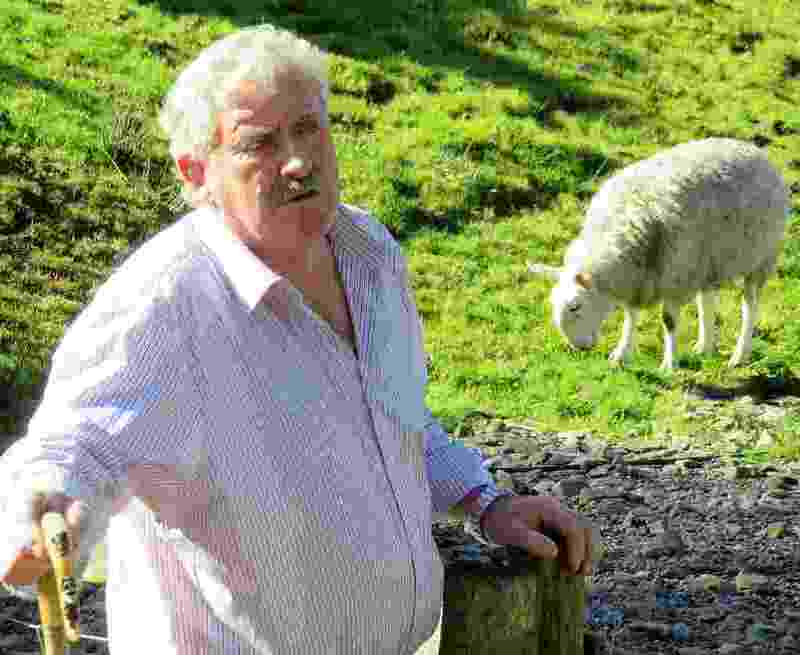 There you'll see shepherd Brendan Ferris using whistles and hand movements to control his dog, who rounds up sheep or moves them to a particular place. Surprisingly, when the dog is not "working" he pays no attention whatsoever to the sheep. The sheep here are Scotch Blackface sheep and they are raised for their meat and for their wool which is used for tweed. Entry to the demonstration is not included in the cost of the bus tour; you will need to pay an additional five Euro. Also, the demonstration is seasonal; if you are going on your own make sure to verify first that they are open. After leaving Kells Sheep Centre the route will take the bus right along the coast where there are scenic turnouts that afford great photo ops of the Atlantic coast. Many of the tour buses stop at Scarriff Inn as a lunch stop; the meal also is not included in the cost of the tour but the Inn has a wide variety of plates and hearty sandwiches on offer and they are not expensive. 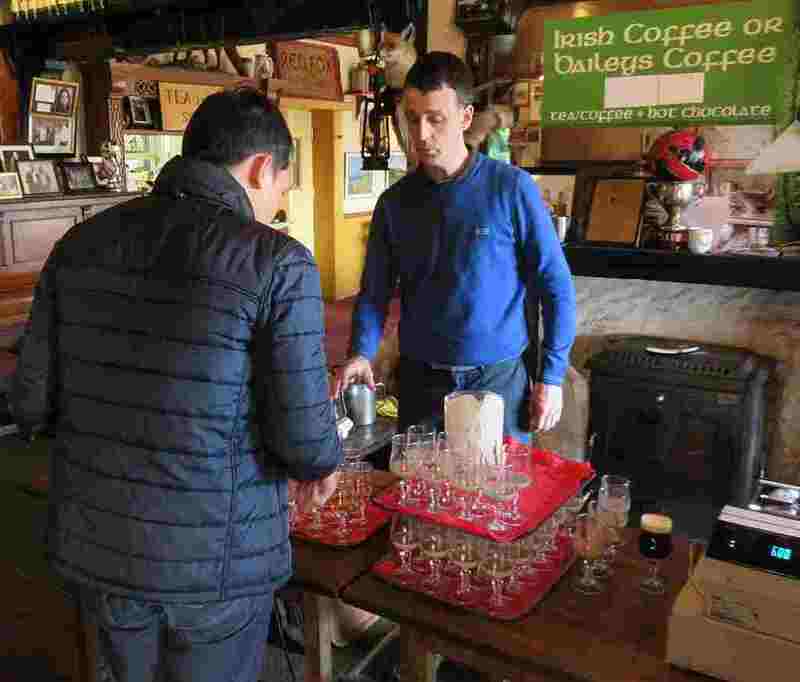 The good food is not the only reason that the tours stop here; the place boasts that it has Ireland's best view, and indeed it is spectacular. Other places of note on the Ring of Kerry include Waterville, a small village where the claim to fame comes from the fact that Charlie Chaplin and his family had a second home there for many years (the place even has a festival honoring Chaplin every year.) You'll pass stone circles and other ancient stone constructs and go through the village of Sneem. The scenery along the Ring of Kerry is all stunning, but it is particularly so at Sneem where the village is nestled between mountainous foothills and the ocean. 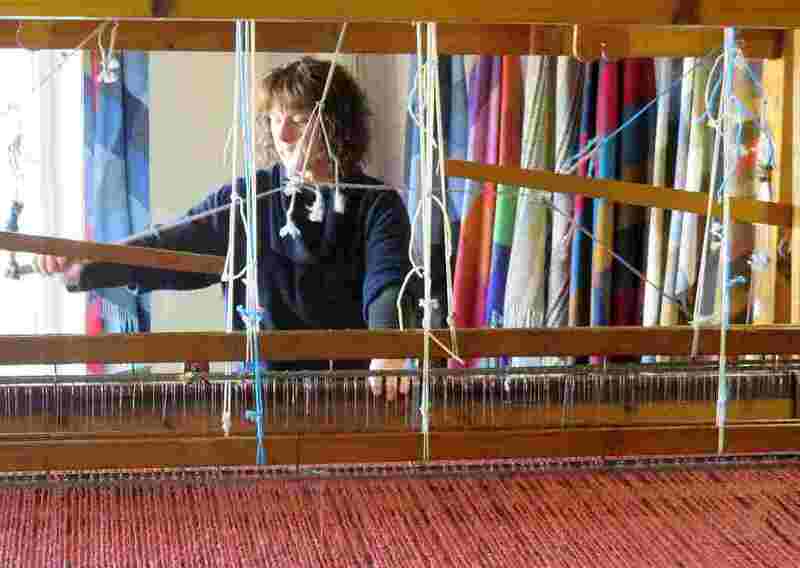 Another attraction to not miss along the route is the Avoca store, a shop where not only can you buy all sorts of Irish woolen goods, but you can also watch a weaver making them on a giant loom. Avoca is a chain with many other outlets located throughout Ireland and there are several in Dublin. The last portion of the Ring of Kerry, leading back into Killarney, is through the Killarney National Park. Another very scenic part of the drive, here you may see deer and smaller woodland creatures. As you get close to Killarney you'll also see jaunting cars, the horse-drawn carriages that can be hired for a fun and romantic ride. All of the above really only scratch the surface of the appeal of a journey along the Ring of Kerry. For more ideas, pick up a free copy of the Kerry Gems guide in Killarney and go online to the Tourism Ireland website here.